The service company Alto Adriatiko Ltd was founded in September 1999 by the will of three friends; Campagnol Antonio, the harbormaster of Chioggia, the director of Rosolina Lifeguard Department Ghezzo Gino and the instructor Ferro Federico, hence the idea of ​​setting up a cooperative of professional lifeguards to be employed at the nearby beaches of Rosolina Mare during summertime. Since 1999, the natural evolution course of the cooperative subsequently transformed into Ltd made possible that in addition to the of beach and water safety service which is still the core business, the company developed all the tourism related services such as shorelines and beach cleaning, sand leveling and construction of bathing facilities; day and night surveillance; the concierge and beach security services. The rescue service is provided by highly qualified lifeguards which are trained physically and technically on rescue and recovery techniques, resuscitation procedures, and management of emergencies with direct connections to 118 and the port authorities. All lifeguards are in possession of the certificate of BLSD performer and must have passed a swim test. In addition, in order to improve the timing and efficiency of sea interventions, lifeguards have watercraft equipped with rigid stretchers. 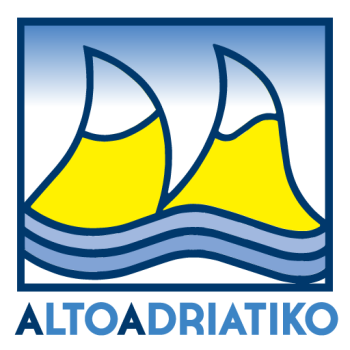 Thanks to the great experience and professionalism of our staff, Alto Adriatiko has managed over the years to raise public awareness on the true mission of the lifeguard, namely the Safety of Life at Sea, especially since in the small seaside resorts, this figure was often associated to other tasks such as being in charge of chairs and umbrellas rental, beach cleanliness and bartender. Alto Adriatiko Ltd. started its activities with only five or six lifeguards who worked at local beaches of Rosolina Mare, now (2016) the company numbers over a hundred, employed by beach clubs, swimming pools, holiday parks located in the seaside areas between the lido of Venice and the shores of Comacchio. In addition to the lifeguards, the company has about fifty employees working in other sectors; management and maintenance of swimming facilities, shoreline cleanliness, beach service, maintenance of the green spaces at condominiums and resorts, cleaning of apartments and offices, catering. In the spring of 2013 was also taken over the restaurant Vittoria located at Camp Victory in Rosolina. In 2016 due to experience gained over the years in the rescue sector, RST Rescue & Tourism Services , was created , sister company of Alto Adriatiko, that deals with providing lifeguards in some establishments and tourist villages of the Venetian coast and Rodigino. In August 2013 ALTO ADRIATIKO has successfully obtained ISO 9001: 2008 certification showing itself as a company constantly attentive to the evolution of the sector pointing to innovation and the development of its processes, aiming for continuous growth both in terms of volumes and in terms of quality, sensitive to the satisfaction of all the Company’s stakeholders: customers, internal staff, external partners and suppliers.